Genting Casino Westcliff, located on the Western Esplanade in Southend-on-Sea, has unveiled its multi-million-pound refurbishment. The refurbishment has focused on an upgrade to the bar area, along with a host of improvements throughout the casino. The revamped bar area now boasts a brand-new long bar with state-of-the-art flat screen TVs throughout, including one 98inch LED screen. The bar will show live sports events throughout the year including top Premier League football and boxing matches. A gold theme is now prominent throughout the area and the long bar format has been designed to increase the capacity and provide more service stations reducing delays at the bar and providing a better experience for customers. Additional private booths have also been installed complete with mobile phone charging points. 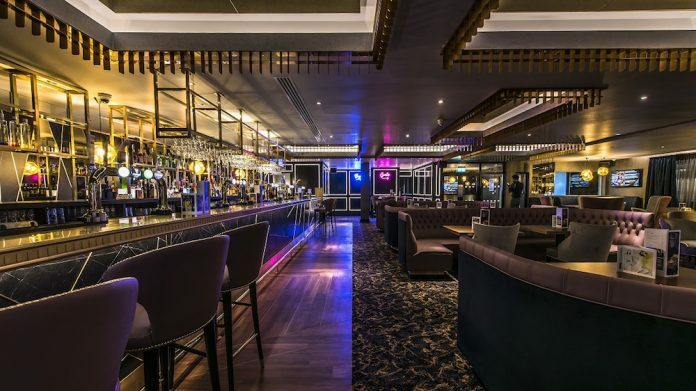 All customers can now order food and drink from the new bar area and Genting Casino Westcliff have introduced a brand-new ‘Dark Nights’ food menu in time for the opening of the new bar area. The new menu includes, Masala Sea Bass, Slow Cooked Lamb Shank & Thai Green Curry. Other improvements to the casino include modernised toilet facilities, as well as new carpeting throughout the venue. Maintenance to the building’s exterior has also taken place, with new signage and neon lighting installed. There have also been extensive improvements to the back of house areas in the casino.